At Cyprus Credit Union, we’re not just your mortgage lender; we’re your mortgage partner. Our experienced loan advisors will be there to help you every step of the way on the path to home ownership. With over 80 years of combined experience, our advisors can help with everything from conventional mortgages to refinancing to construction loans. With every product under one roof, there’s no need to go anywhere else for your home buying needs. Our home loan officers are experienced professionals who have been trained to manage your mortgage from the first time you sit down with them all the way until you receive your keys. This means you will have a point of contact throughout the entire process and you won't just be handed off to a processor. Your advisor will also attend your closing to make sure that everything runs as smooth as possible. In order to make sure you are receiving the best service possible, all of our loan officers focus solely on mortgages. This means that they have more time to concentrate on you and your mortgage needs. 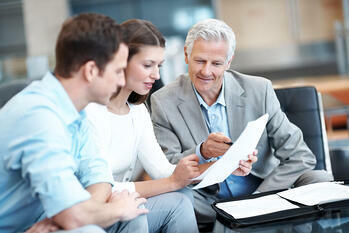 You can learn more about our advisors as well as their contact information and expertise HERE. If you have questions or need some advice, our advisors are more than happy to help. Contact our team at 801-260-7600 ext. 5340 or email mortgages@cypruscu.com to inquire about a free consultation.